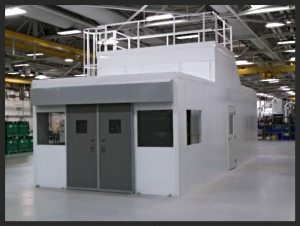 The most important part of your custom paint booth is that it is a clean space with very little particle disruption. Things such as dust, dirt, and hair can ruin any the greatest of paint jobs. However, there is a solution! We can design a system to make it much easier for you to have a perfect painting environment. No matter what you are painting, we can provide door options to fit any sized object to ensure easy transportation and comfortable spacing. Options to consider when deciding a Paint Booth include enter and exit locations, ventilation, and size. 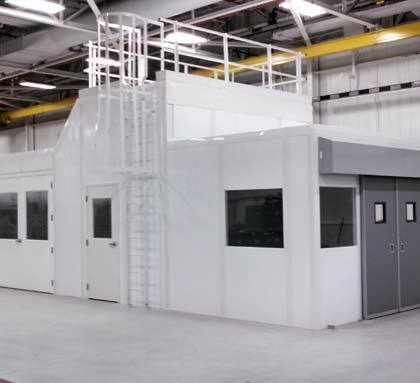 Building your paint booth through modular construction provides you with a number of benefits as opposed to traditional, stick built methods. With modular construction for instance, you will have far less site disturbance in your facility meaning you will not have the tremendous and miserable downtime. Instead, your new paint booth will be prebuilt and just needs to be installed at your site, which takes just a fraction of the time. Plus, when you decide to build modular, your overall lead time is drastically reduced as well.